Quiescent Region Filaments over 1 million km long in total – thats one big ribbon! Used a bag flat to get rid of dust and Newton’s rings to good effect. A Prominence is an arc of plasma lifted above the Sun’s surface by intense magnetic fields at the very edge of the Sun (the limb) – It appears light (and hot) against the dark background of space. 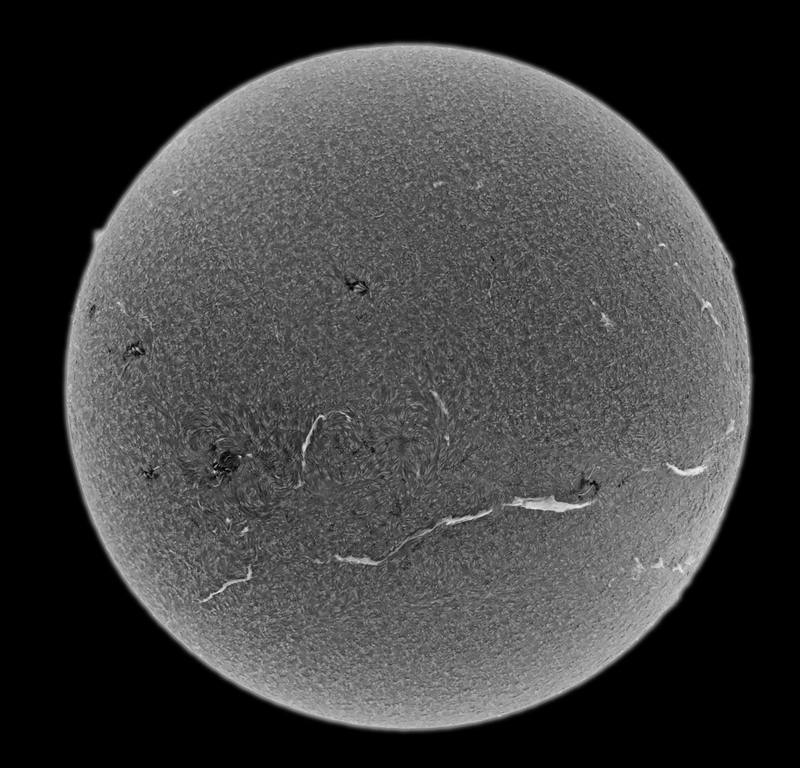 A Filament is exactly the same, but seen over the face of the Sun so that it appears dark (and cold) against the bright, hot photosphere. 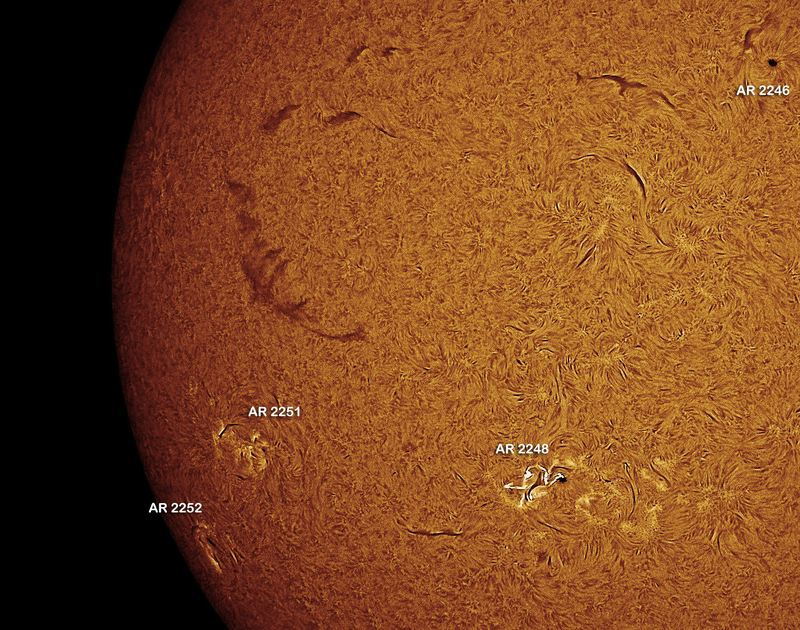 As the Sun rotates, Proms become filaments. 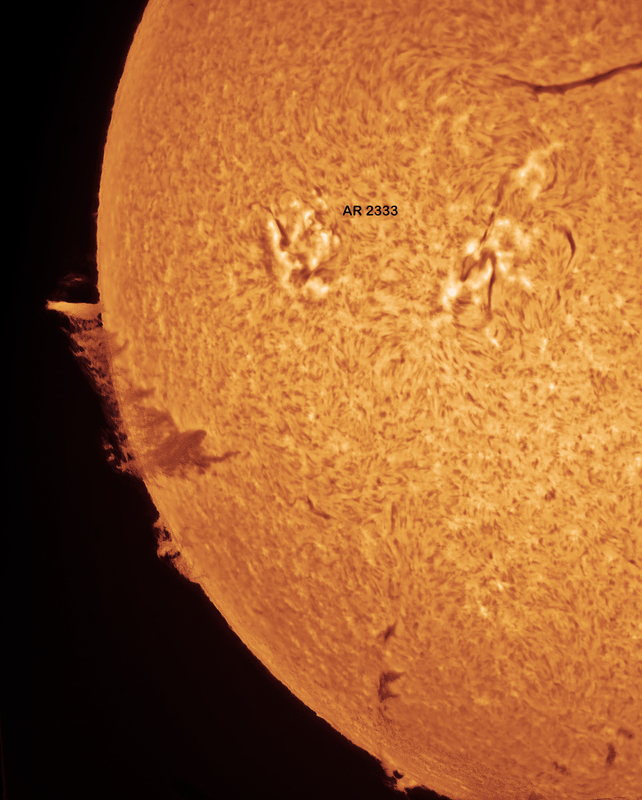 There is a massive “hedgerow” prominence on the Sun’s Eastern limb which is now rotating round to become a filament. Although it looks as though it is ascending – most hedgerows are descending or “raining out” from the corona down to the chromosphere. This was a very rushed image taken between clouds. Little time to focus or adjust imaging parameters. This is the first time I have combined prominence and surface features successfully – settings for my Skyris 274m CCD camera were: Gamma 83; Exposure 1/34s; Gain 176; Contrast 9; Brightness 11, Sharpness 7. 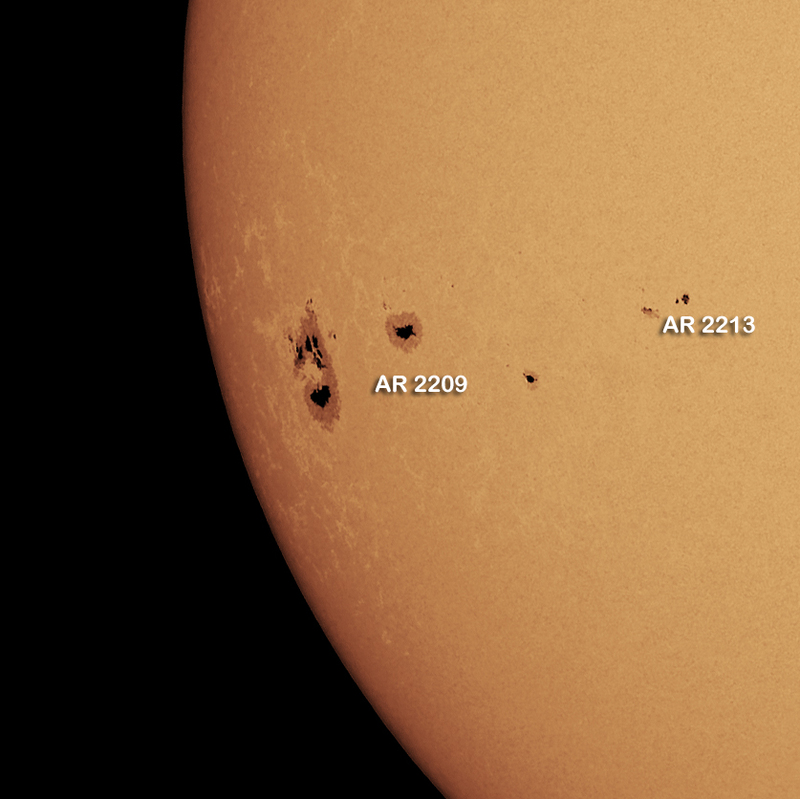 Its getting difficult to image the Sun in my back garden. Up here at 55N, the Sun doesn’t get too high in the winter and trees, neighbours’ houses and other obstacles become more of a problem. At the moment, I run out of light at about 1430 UT. 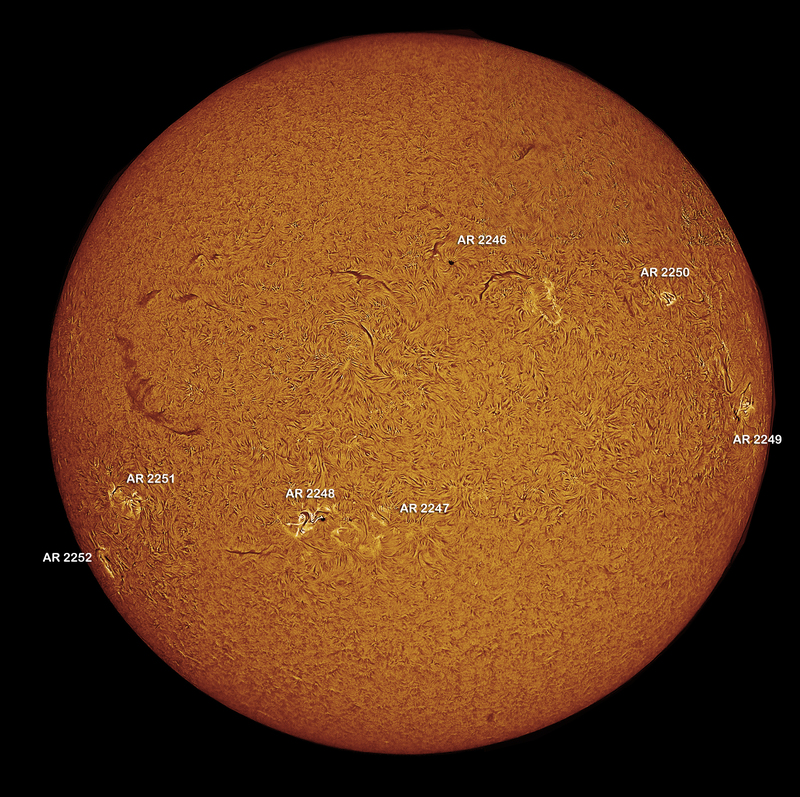 These were taken around 1300 UT with two telescopes. 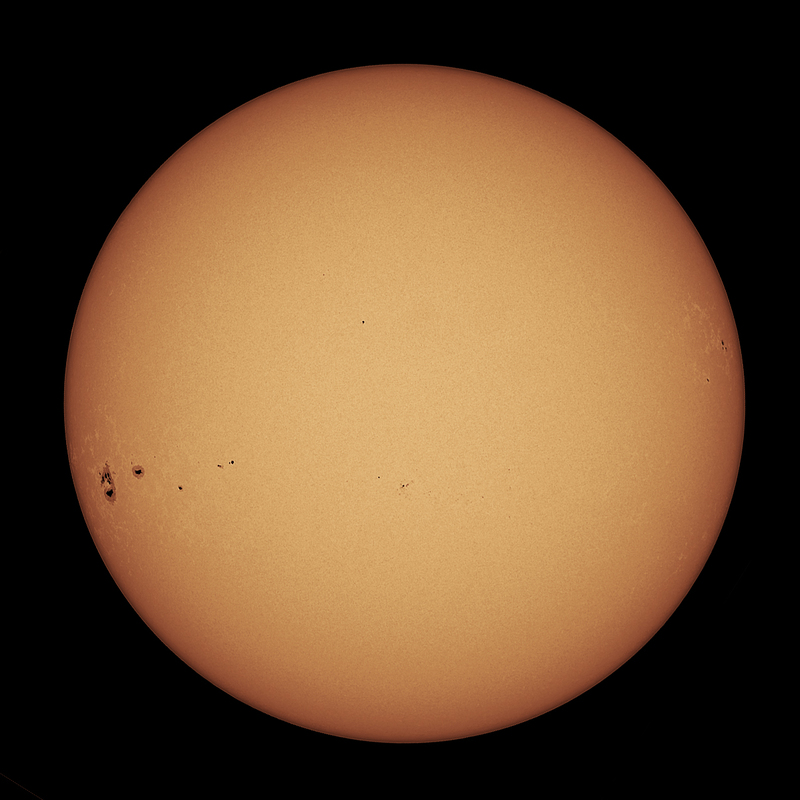 The full disc false colour Sun was taken with a 480/80mm refractor and the medium view and close-up with a 1000/102mm refractor. 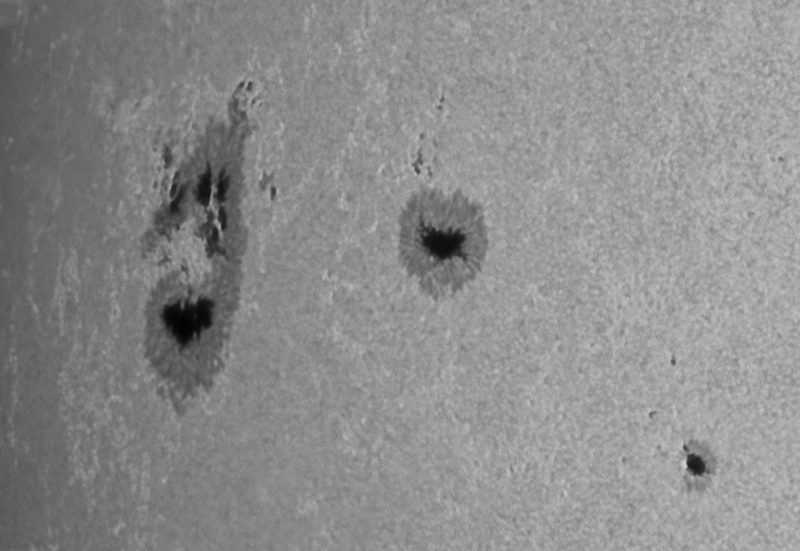 A TeleVue 2.5xBarlow lens was used for the close-up..
AR2209 is actually monster sunspot AR 2192 back again after traversing the farside. It seems just as active as it was before with a M3.2 class solar flare today at 1240 UT. Two sunny days, seems so long ago! 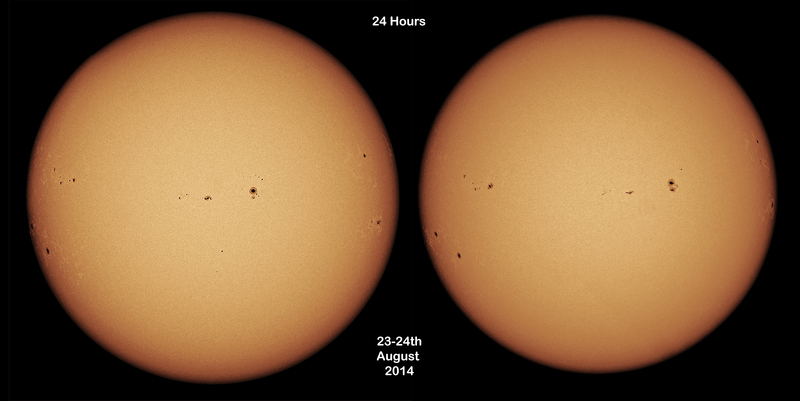 Um, THE 2 consecutive sunny days from the UK summer to show rotation of the Sun over 24 hours. 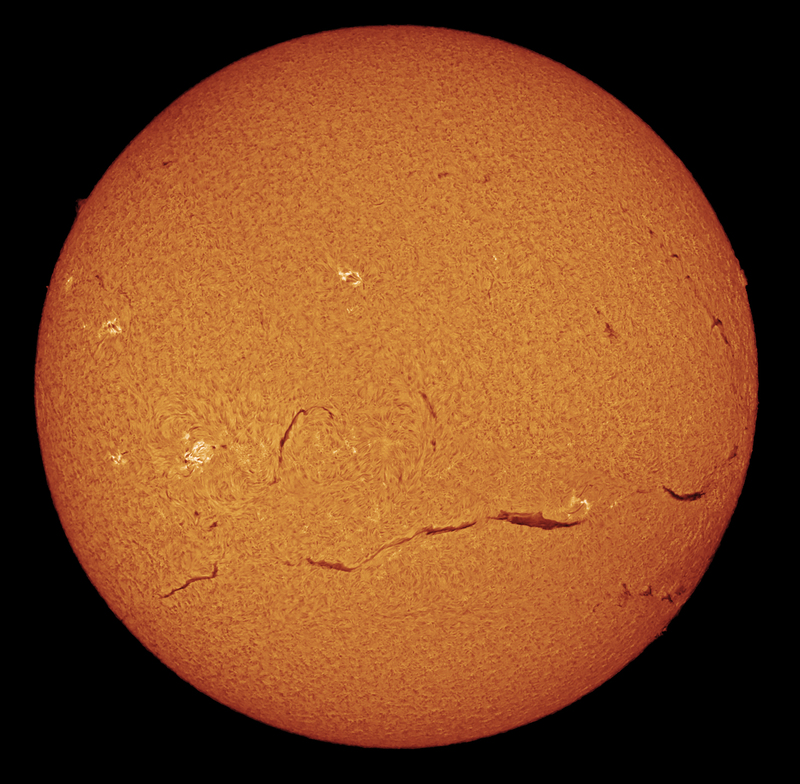 480/80mm refractor with Baader Herschel wedge.